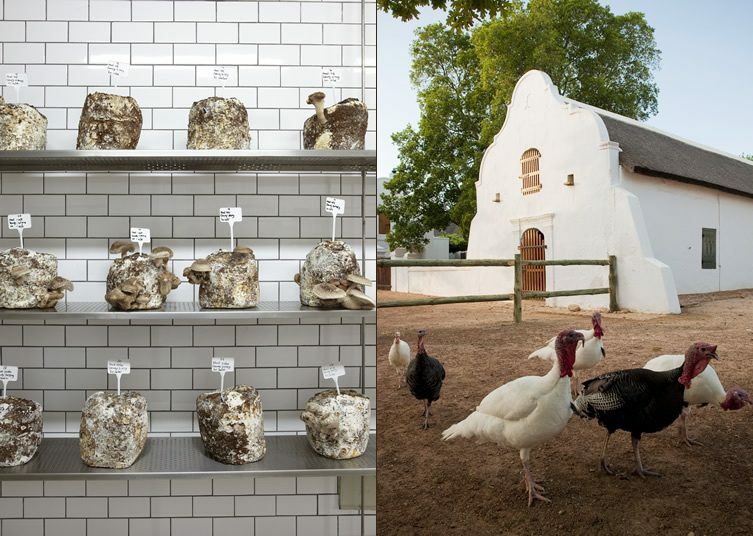 As part of our design tour of Cape Town we were kindly invited for lunch at Babylonstoren. 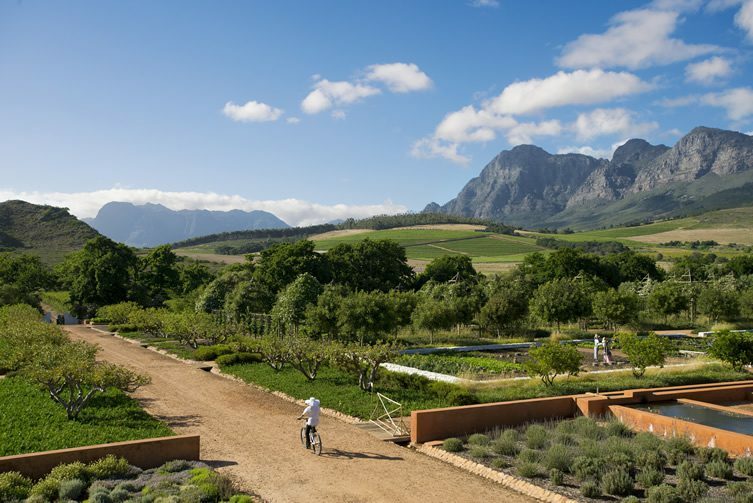 An hour or so drive into the Winelands, entering lush green vistas, we soon arrived at one of the oldest Cape Dutch farms in South Africa. With the sun beaming down onto the foot of Simonsberg Mountain, the ridiculously beautiful back-drop was set. The farm, restaurant, hotel and organic garden looks as though it’s been lifted from an over-zealous imagination, reality is suspended. Running out of superlatives, we soon dispersed like giddy children, cameras flashing, to explore. 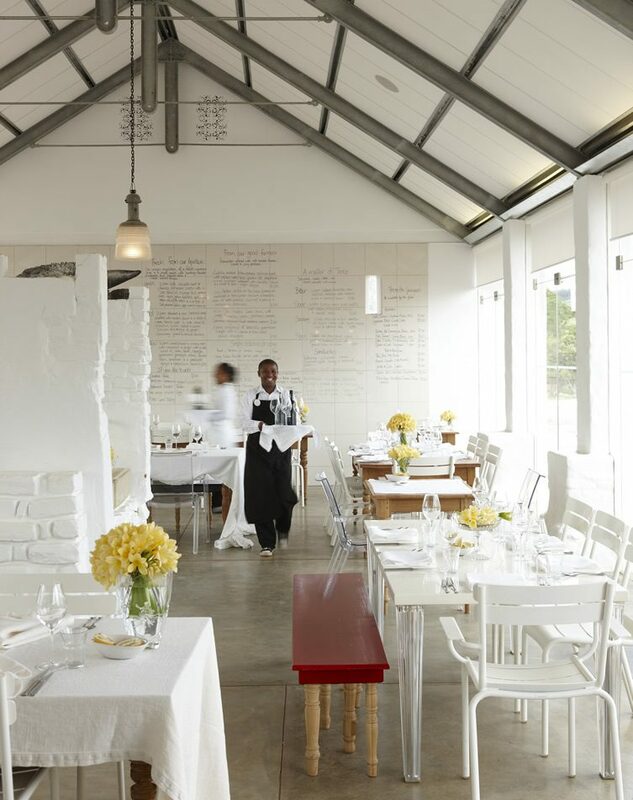 Dragged back for lunch we sampled their Green House café; “we grow what we eat”, describes the casual menu… freshly-baked Biltong sarnies, Babylonstoren Chenin Blanc and decorated rosewater cupcakes were all delightful. Sat in the open Green House (literally a greenhouse) we soon relaxed and began to take it all in, a sense of calm takes over thanks to the rich greenery and lush surroundings. 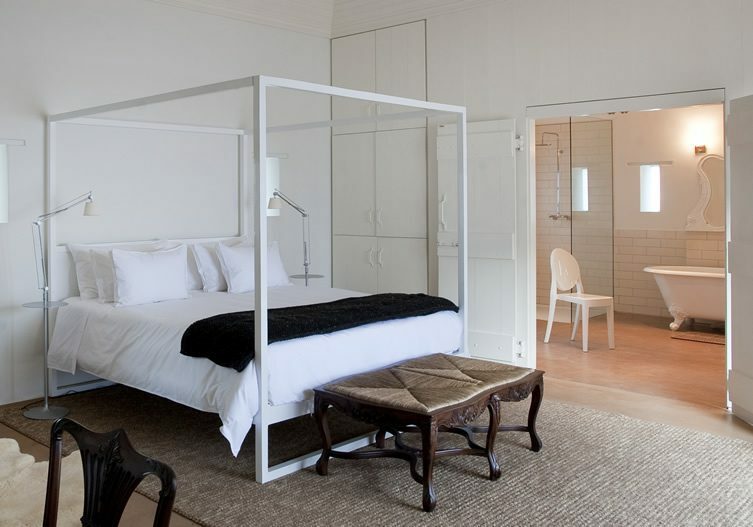 The Farm Hotel itself comprises of independent guest suites in the style of a Cape Colony of the 17th Century. With only seventeen rooms the waiting list is something of a giggle as most visitors re-book on checking out. 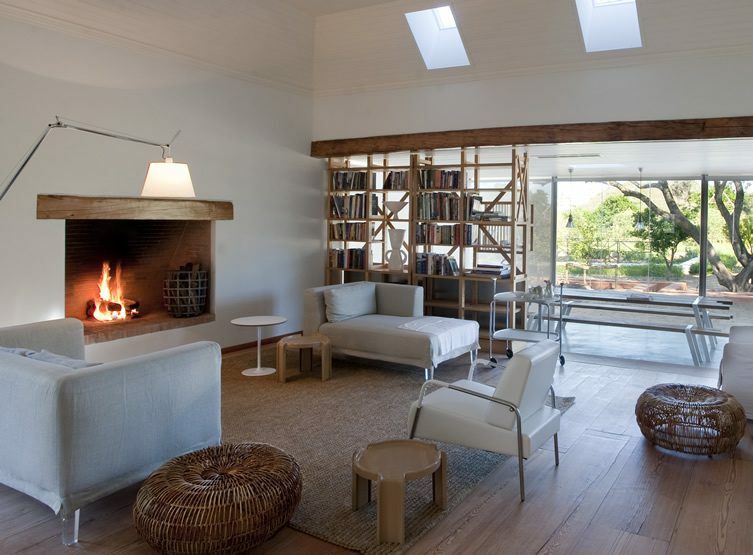 The suites are luxurious, light, and comfortable – with kitchenettes and living quarters. With a communal pool and spa, a minimum of four days is highly recommended. 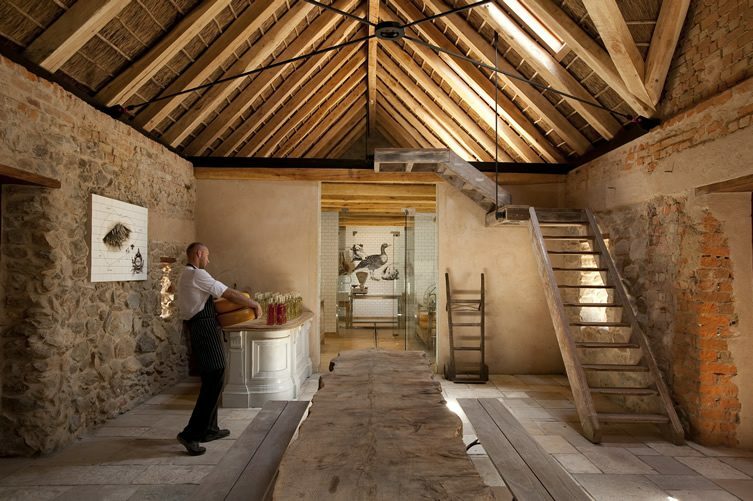 The heritage site opened the Farm Hotel and award-winning Babel restaurant just two years ago. Against all plans not to, owner Karen Roos ‘just fell into’ sharing the grounds with locals and visitors. Babel was nothing more than an old kraal (essentially a barn) surrounded by dusty wasteland. 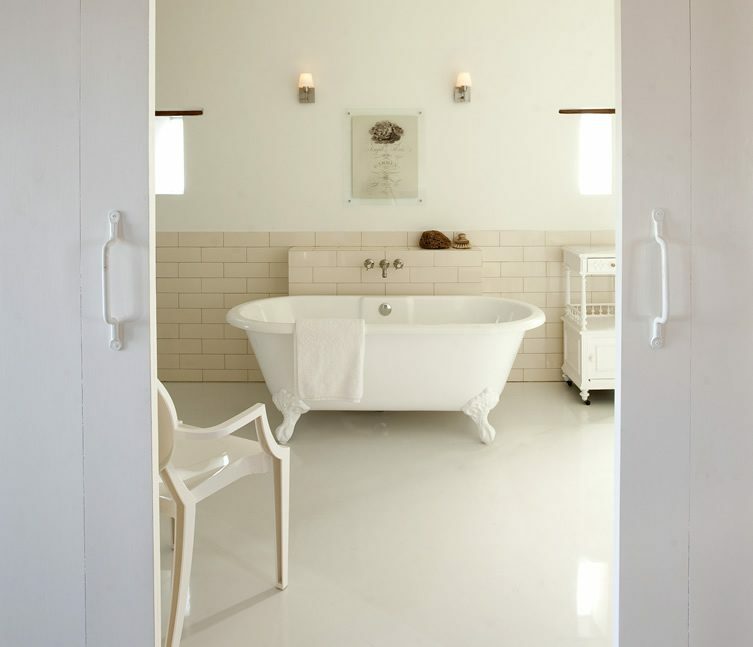 Designer and food stylist Maranda Engelbrecht was commissioned to transform the barn into a modern marriage of old and new. Fitting glass sides and an open kitchen, the parallel wall is entirely dedicated to ceramic tiles depicting a bulls head. The creamy interiors are matched with traditional wooden tables and Philippe Starck seats, mis-matched cutlery and cut glass vases give Babel a real sense of contemporary calm. In terms of food, the key focus is on seasonal produce. Engelbrecht devised a colour system of grouping fresh ingredients into red, green and yellow for salads, juices and preserves. 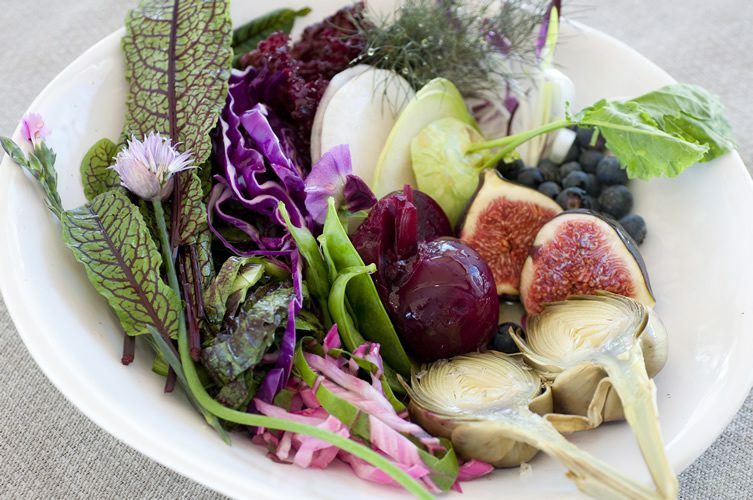 Imagine autumn reds together – fig, watermelon, beetroot, plum and salad leaves complimenting each other on a big white plate. 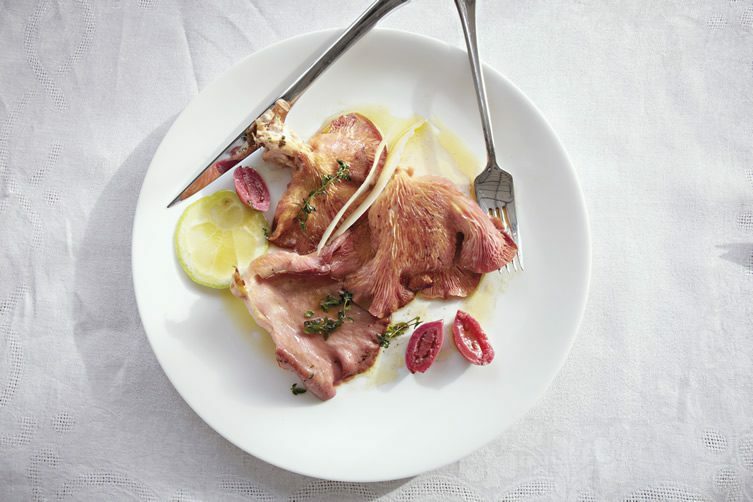 Visually exciting for those of us who eat with our eyes! 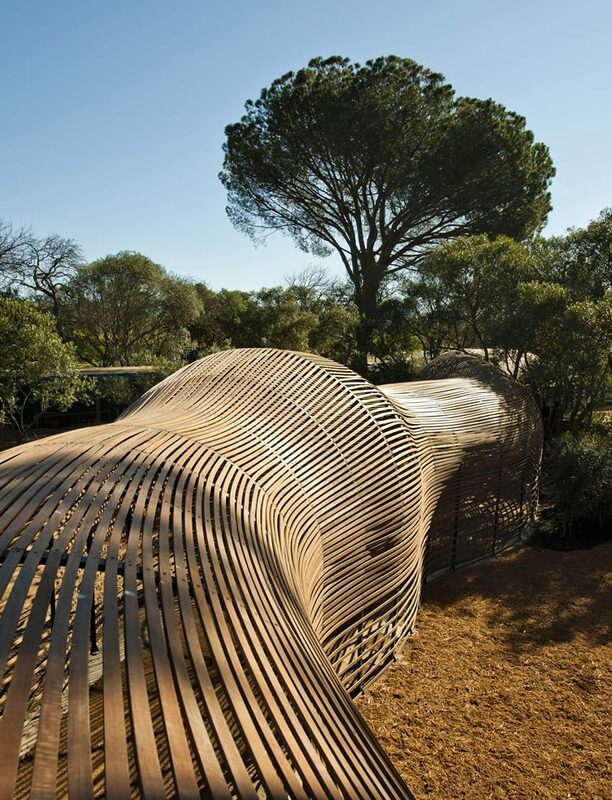 Of course the stunning gardens are organic and consciously include local or indigenous plants, one of which is ‘elephant food’, which is a useful plant to grow as it converts CO2 very quickly. Great in salads, and it lowers cholesterol – so of course we merrily munched on the crunchy, lemony leaves. To the left of the historical buildings lie 3.5 hectares of exceptional gardens. With particular focus on local, aromatic and visual plants; the four year-old garden is a horticulturalists haven. Guests and visitors are invited to walk through, taking in the aromas. It really is a spectacular garden, even a plant killer like myself found the experience otherwordly and somewhat therapeutic. 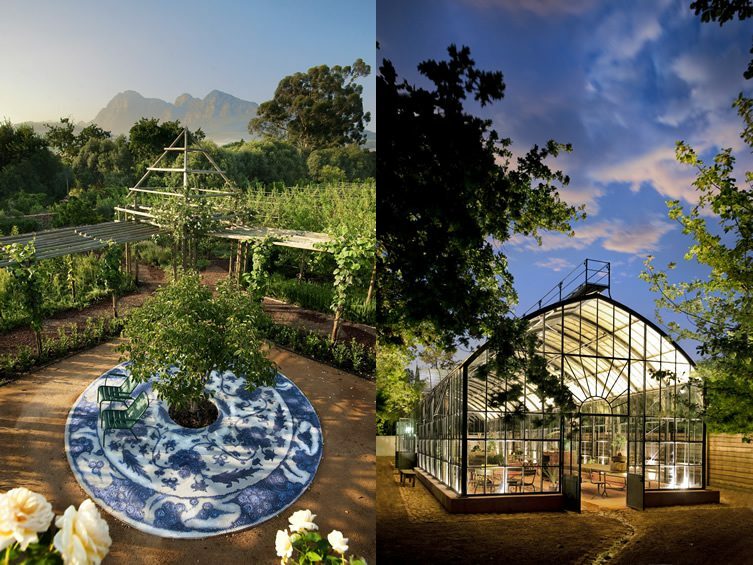 Babylonstoren oozes style without pretention, it’s what a garden farm should be, tranquility and beauty that will leave your heart singing. We literally dropped as many hints as deemed polite to stay a while longer, unfortunately Cape Town was calling for new adventures. If all this is just too much, you can get hold of the beautifully designed cookbook Babel written by Maranda Engelbrecht. 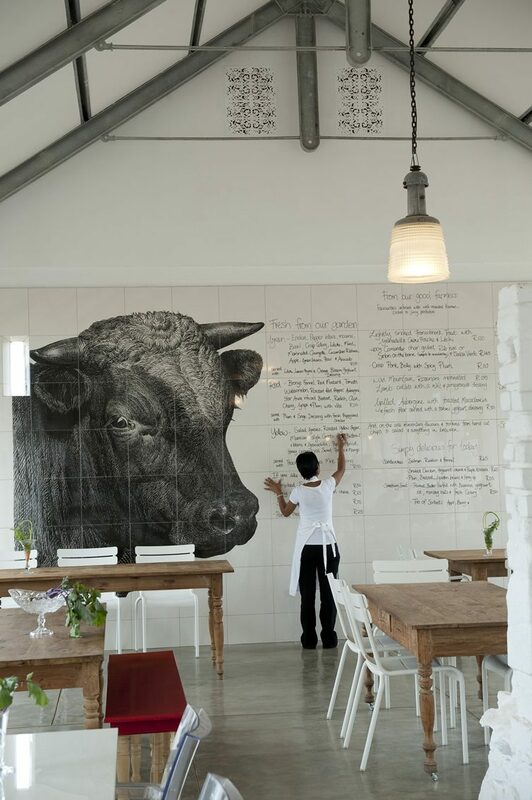 Like the place itself, it’s not your conventional cookbook; but encompasses everything that Babylonstoren is, bringing together the many horticulturalists, wine-makers, chefs and farmers that make it all happen.